at Dorje Ling Dharma Centre. 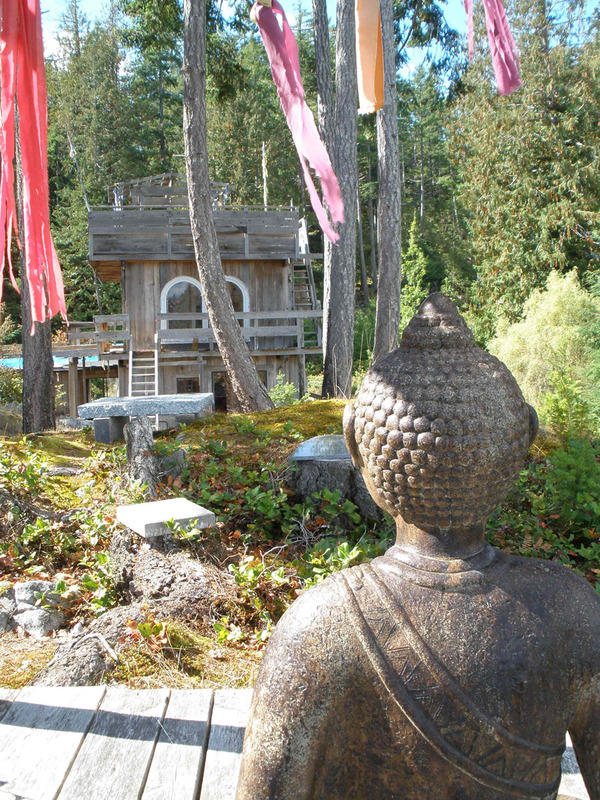 A rustic retreat centre and community resource, Dorje Ling is surrounded by forest and mountains, with ocean beaches and warm lakes nearby. It is a quiet and serene place to relax, meditate, listen to the birds, gaze at the forest panorama, and simply BE. • it gets very dark here – bring a flashlight! COST is $10 per person per night for tenting (on tent platforms or grass), or $15 per person per night for bed in shared room. Children age 5-10 half price. Maximum stay is seven days. SPACE IS LIMITED – PLEASE BOOK AHEAD: 250-935-6952, leave a message. If no response try carmen@bicyclebuddha.org. NOTE: phone is the best way to contact Dorje Ling directly.